Eagle Nest, New Mexico Tornado - August 9th, 2018. Blog Updated At 4:21 PM MDT Friday, August 10th, 2018. Blog Updated At 4:54 PM MDT Monday, August 13th, 2018. 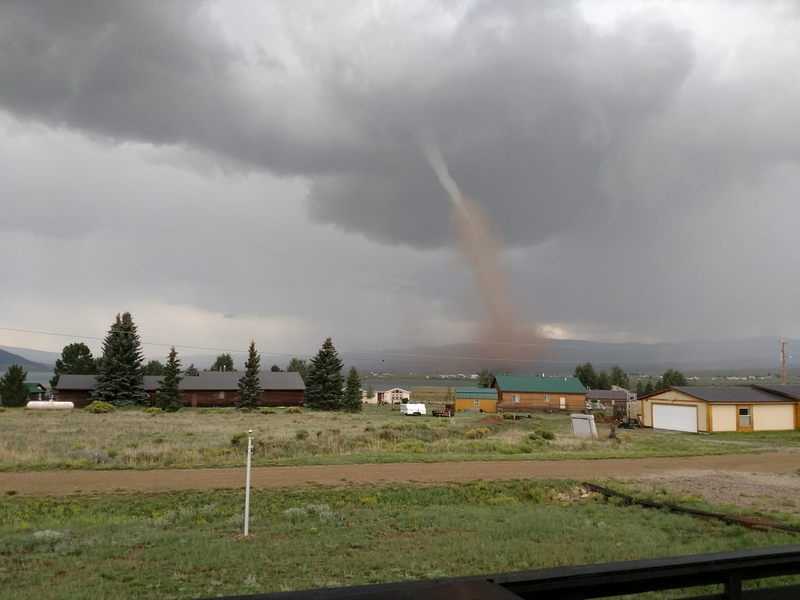 Incredible video and photos of a tornado this afternoon in Eagle Nest, New Mexico. Eagle Nest is located in northern New Mexico in the Moreno Valley at an elevation of 8,238'. So once again and for the second time this year a tornado has touched down in or near a mountain community. The first sighting occurred near Picacho in Lincoln County, 31 miles east of Ruidoso at an elevation of around 5,000' to 6,000' on May 25th of this year. Golf ball size hail is also reported to have fallen in Eagle Nest this afternoon. If watching at work, watch out for some explicit language. clockwise rotation during its entire lifecycle, which is not common. dissipating over the northeast portion of Eagle Nest Lake. of Elk Lane Rd. and U.S. 64.
windows were partially or completely destroyed by flying debris. hay barn was collapsed and roofing material  found 300 feet away. flying debris that was lofted at least 7 feet AGL.